The establishment of a Hall of Fame for California Community College Football started in the spring of 1977. 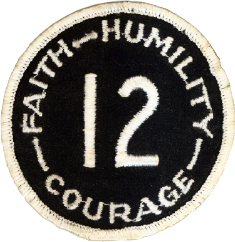 After several false starts and the problem of finding a permanent site for a Hall of Fame, the Board of Directors finally agreed to criteria for selection at its December 1982 meeting in Bakersfield. The CCCFCA Board of Directors selected its first Hall of Fame members during the 1984 Spring meeting in Sacramento. Some of the greatest running backs of all time were in the original class including Jackie Robinson, Hugh McElhenny, O.J. Simpson, Ollie Matson, and Frank Gifford. 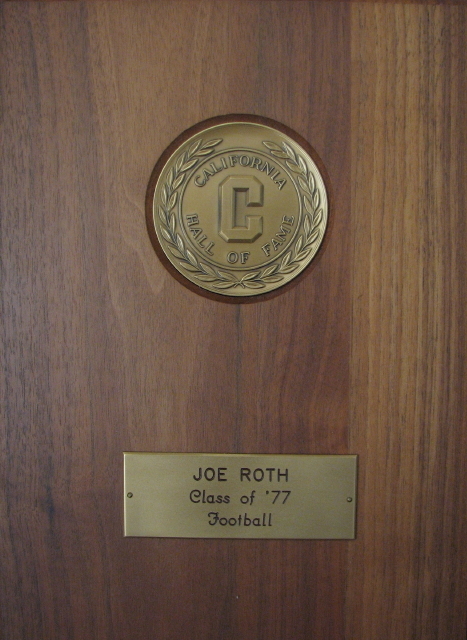 Joe Roth was apart of the second CCCFCA Hall of Fame class inducted in 1985. On May 25, 2006, Granite Hills High School inducted three former Eagles into its Athletic Hall of Fame. The 2006 inductees were the late Joe Roth, who quarterbacked Grossmont College to its first state championship in 1974 and then guided Cal to a Pac-10 title in 1975; running back "Touchdown" Tommy Vardell, who starred at Stanford and in the NFL for the Browns, Lions and 49ers; and longtime administrator and former coach Mimi Test. The Grossmont College Walk of Fame was established in 1989 to recognize alumni who have made community and civic contributions, excelled in their professional accomplishments, and have been involved in campus life at Grossmont College. Nominations for the award are solicited from Grossmont College students, faculty, and staff. The Walk of Fame is a tradition that recognizes exemplary achievement and contributions to Grossmont College. The names of the honorees are inscribed on a bronze plaque in the main quad of the campus. 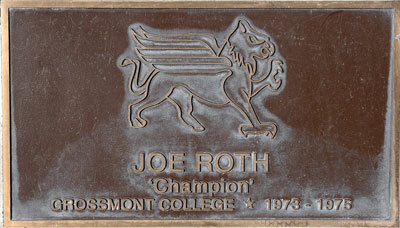 Joe Roth was a member of the inaugural class of inductees into the Grossmont College Walk of Fame in 1989. To learn more about Joe's induction into the Grossmont Walk of Fame read this article. Pictured below is the bronze plaque acknowledging Joe's entry into the Walk of Fame. The Cal Hall of Fame was inaugurated in 1986 and built to memorialize the best of the school's rich athletic heritage. The 2000 induction class was comprised of a pair of Olympic gold medalists, three football All-Americans, two track and field standouts, an NCAA runner-up in women's tennis and a long-time administrator. Joe Roth was one of the three football All-Americans formally inducted into the Hall of Fame on November 2, 2000. At the time of his enshrinement, the 2000 Hall of Fame Class brought the total number of athletes enshrined to 165 individuals and four crews. Joe was apart of the 15th class to be inducted into the Hall. Today, the Cal Athletic Hall of Fame now features 229 individuals and five rowing teams from 23 classes of inductees.